I have to write a lab report on an experiment I performed during synthesis 1, air oxidation of fluorene to fluorenone. The reader told me to take an APT 13C NMR of my product so I did. One of the questions in the reader that I have to answer is why the APT was necessary, and pointed me to the 1H NMR of fluorene and fluorenone. I looked up both H NMRs and saw that they are very similar except for one peak around 4ppm for fluorene that isn't present for fluorenone. We haven't been taught a whole lot about NMR yet, and I don't know a lot about 13C NMR, let alone APT. I have tried to google APT to find out why it's necessary to use it, but I just can't find out why. If anyone has any idea why this could be necessary could you please help me out? First, it may help you to draw the hydrogen atoms on your chemical structures. Then it should become evident why the proton NMR spectra are very similar, with the exception of the one peak you mentioned. Proton NMR provides information about the chemical environment of protons in a molecule. If they are near an electron withdrawing group (e.g., attached to a carbon that is near an oxygen atom), then they tend to be shifted to larger ppm values. The closer they are, the more they are shifted. As a very rough rule of thumb, if the proton is 2 or more carbons away, you may see very little shift. Given where hydrogens are in comparison to the carbonyl that is formed during your reaction, can you understand the proton spectra? 13C NMR in effect will provide information about the chemical environment of carbons. It is a nice complimentary tool to proton NMR, particularly for molecules that do not have protons attached at all carbon positions. Sometimes it is hard to assign carbon peaks to specific carbon nuclei in a molecule. APT 13C NMR is a technique that helps you to distinguish carbons by the number of protons that are directly attached to them, which simplifies this problem. 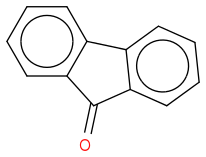 With the proton spectra and carbon spectra, a fuller picture of the chemical structure can be obtained. For chemical transformations that result in very little difference to proton NMR spectra, the addition of specialized 13C NMR spectra can be very useful.